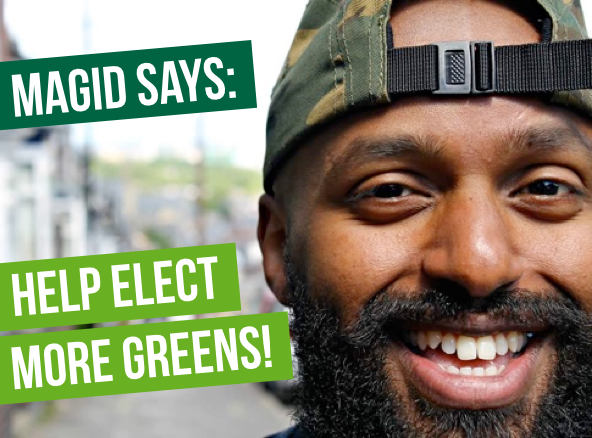 Greens have been sorting out foreseeable roll out issues. 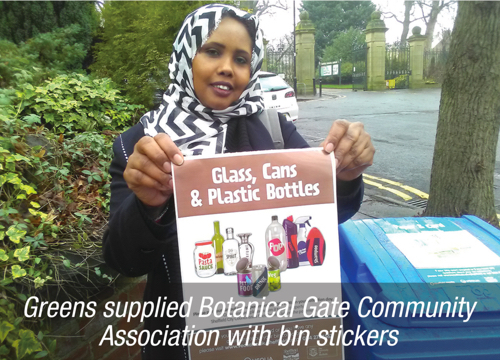 Cllr Rivers says: “The University of Sheffield had a key role in supplying explanatory stickers and bin numbers for community group use – we stickered hundreds of student house bins. But October roll outs created inevitable confusion, triggering my request for Veolia to urgently “decontaminate” bins in student high density areas and remove blue boxes. Extra bins won’t improve Sheffield’s poor recycling rate but add to pavement access issues around Hunters Bar, Crookesmoor and many other areas.” Read Cllr Rivers’ recycling issues letter. Sheffield Litter Pickers are volunteers enabling local people to keep their neighbourhoods litter free. Broomhill Community Library have committed to cover the Broomhill area (see launch event picture) but they need a lead volunteer to work with library volunteers and the S1 0 Litter Ambassador. A lead volunteer is also needed for the Broomhall group. If you’re interested contact ghoulton4@gmail.com for more information about your postcode area. 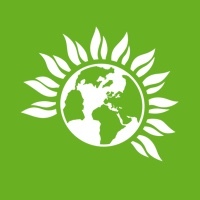 Green councillors are encouraging the views and involvement of young people to address the underlying causes. 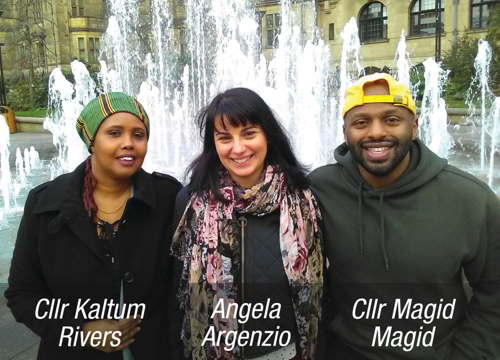 Lord Mayor Cllr Magid, addressed 1 00 Young Peacemakers saying “You are amazing volunteers helping younger students resolve disputes at break times in ways that work for them. You make a real difference to your schools and communities”. Read Cllr Rivers’ Star Viewpoint on young people and knife crime.